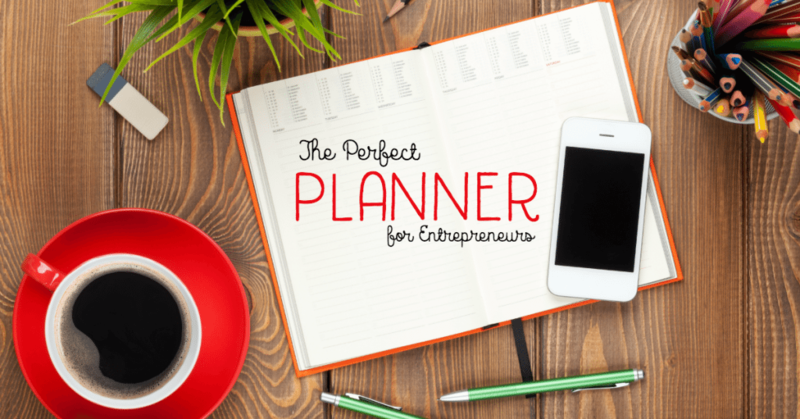 Home » Entrepreneurs » Time for the Annual Battle of the Planners! Time for the Annual Battle of the Planners! If there’s one thing everyone can agree on about the perfect planner, it’s nothing. 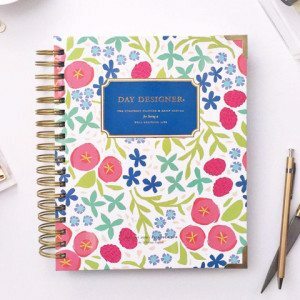 Every single person has a unique set of preferences and wants in a planner, which is why the market is so full of choices! And we’re not even talking apps and other digital products. No, this post is limited strictly to good old fashioned pen and paper planner products. iBloom For 2015 I used the iBloom planner, and I loved it so much I've already pre-ordered it again for 2016. This is the planner that not only helps you remember where you need to be and when, but also WHO you want to become and WHY. The iBloom planner is well designed and colorful and it does a fantastic job of walking you through the process of setting goals for the year, and also monthly and weekly goals. There are places to assess your progress, celebrate your wins, and keep track of everything on your to-do list. 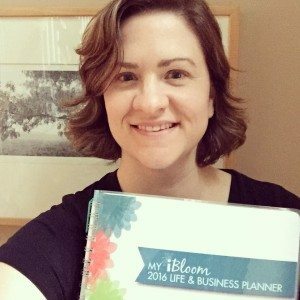 There's a great slideshow of the pages and more details at http://ibloom.co/planner/. Leonie Dawson’s Create Your Shining Year looks as bright and fun as Leonie herself. But don’t let the bubbly cheerfulness make you think this woman doesn’t know what it takes to make your year and business soar. She knows what motivates and inspires you to set and meet your goals! I used this planner in 2015 as well. It was a great way to review the previous year and set big dreams and goals for how I wanted 2015 to look and feel. It was a wonderful process to go through. This was NOT the planner I need for the day-to-day, nitty-gritty planning I needed though, which is why I added in the iBloom planner to get me through the year. *Note: The video above is for the 2015 version of the planner & so is the link because the 2016 version is not yet for sale, but you get the idea and I will update the post when it's for sale. Day Designer According to the website, a “four-step daily planning system” that can bring order to chaos. Sounds good so far! This planner will keep you on track with a running to-do list – including isolating your top three to-dos, your schedule, and recording daily gratitude. Passion Planner is designed by a woman full of heart and soul. Her vision for what could help her settle and center led to the creation of a planner that handles appointments, journaling, a goal setting guide, to-do lists and motivation all in one! DIY Fish Life Mapping System – This is for the true DIYers. This planner is actually delivered to you via digital files that you print and cut yourself. The end project looks pretty neat if you have the patience to go through the process. Very ingenuitive and includes fold out pages to let you see multiple views at once as you sit down to do your planning. Additional favorites not featured… Emily Ley’s Simplified Planner the Sweet Life Planner from i heart Planners, and Danielle LaPorte’s Desire Map Day Planner. 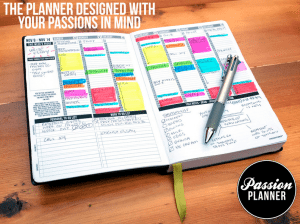 I’m sure there are at least 50 more that we could list here, but to avoid the inevitable annual planner shopping overwhelm, I’ll leave it to you to share YOUR favorite planner in the comments below & be sure to share the love (this post!) with a fellow entrepreneur. I plan on 3 for this year. I know I’m crazy BUT I love Leonie’s planner to get me thinking about the year plus the monthly review section. I really like the look of the daily layout for Danielle LaPorte’s Desire Map Planner so plan to use for the daily stuff. And my current go to, the Levenger SmartCirca Planner system to plan my week. Hey, whatever works for you! 🙂 I’ll have to check out Levenger! 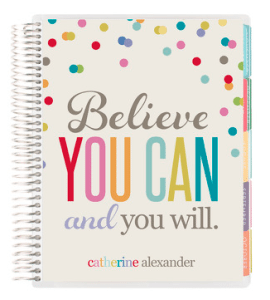 I really love Leonie Dawson’s planner and have already ordered mine for 2016. The packaging is fun and takes some of the fear and, dare I say, “drudgery” out of goal setting and planning. Leonie’s prompts take you out of your head and into your heart space as you look ahead to the coming months and reflect on the successes and challenges of previous weeks. Just enough woo woo to keep things interesting, too! It’s a really great planner for big picture planning and I do love her art! Enjoy! I’m a fan of the Sweet Life Planner from I Heart Planners – but I might be a tad biased. 😉 Love reading planner reviews. For binding systems, I’m a fan of the discbound system. Julie I think I am going to try the ibloom next year. I used the Passion Planner this year and love it with one exception. It isn’t spiral bound. So it made it hard to view my month and my week. Thank you for doing this as it let me see other options for what I could use for my day to day nitty gritty as with my business, working full time for rt now and 2 girls with 1 having several after school activities I need something to help me keep it all together. I use a mix of my paper iBloom and digital calendars. I think for tasks I really need the paper. I definitely need digital to keep my on top of all my 1:1 client calls though or I’d miss 1/2 of them! 🙂 Happy it helped, Liz! If you like planners, then you MUST check out the Daily Greatness line! They have several: a business journal, a yoga journal, a mind/body/spirit 12-week, and an overall year-long journal. I call them journals because they are planners PLUS MORE!! I’m super stoked to use them!! I buy one for each of my clients as part of their self-love kit! Sounds awesome! I’ll have to check it out, thanks! Thank you for this , was just looking for some reviews on planners and came across this, will go and explore , think it might be the I bloom purely because my business is called TherapeuticGarden . I like the fact that the words complement each other .